Six underrated songs that'll tug at your heartstrings. 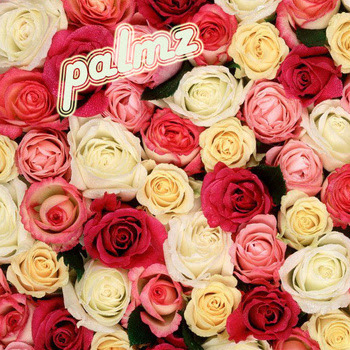 Palmz is composed of one girl and two guys from Santa Cruz, Cali. They're one of those REALLY GOOD bands that you've never heard of. I attempted to do some investigating, but I really failed at finding out more about them. Here's what I did find: Lexie, the girl member, is responsible for vocals, guitar, bass, and keyboard. David, one of the band dudes, handles drums, guitar, bass, keyboard, and "cool noises." The last band dude, Devin, is on drums. According to their Myspace, they sound like "summertime with your first love and wintertime with your true love." I would have to 100% agree, and this EP weirdly makes me want to cry despite the fact that most of the songs are upbeat. Palmz' Grow EP came out this past February. This release is a mesh of dreamy shoegaze, surf rock, and oldies pop, and it covers all the emotional bases of love and loss. "Nothing in the Universe is Lost" is about watching an ex move on, "Summer Dreamzzz" addresses the fantasy of getting back together, "I Will Never, Ever, EVER, Feel Again" is sort of an emo tune about betrayal, "Teenage Heartthrob" seems to allude to a long distance relationship or a break-up (aren't they the same thing? ), "I Only Want Good Things For You" is an ode to unrequited love, and lastly, "The Dreams We Have We Make Ourselves" tells the story of a couple re-evaluating past love but ultimately moving on for the best. As far as sound is concerned, Lexie's vocals sound classic and reminiscent of girl groups from the fifties in more upbeat tracks like "Summer Dreamzzz" and "Teenage Heartthrob." I was actually inspired to listen to The Ronettes right after these tracks, and there were moments I honestly had trouble telling the difference (this is a huge compliment). How they master this in 2012 I have no idea. Other tracks like "Nothing in the Universe is Lost" and "I Will Never, Ever, EVER, Feel Again" are softer, fit more within the realm of modern indie rock, and are certainly more dark. You can buy this adorable 6-track red cassette from Beautiful Strange.